SF has increased my energy level and also helped to improve my healthy. It has reduced my cravings for sugar and curbed my appetite. SF is the best, all-natural weight loss supplement on the market!!! “This is my most recent picture. I have lost 25 pounds I have no idea how many inches. I have been taking SF for 75 days. 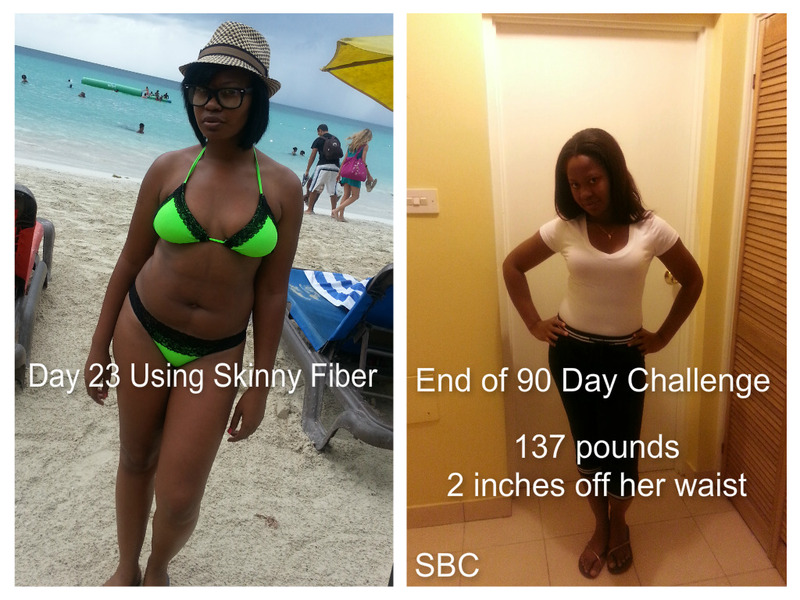 My customer, TKA from Jamaica just completed the 90 Day Challenge. She didn’t have much weight to lose. 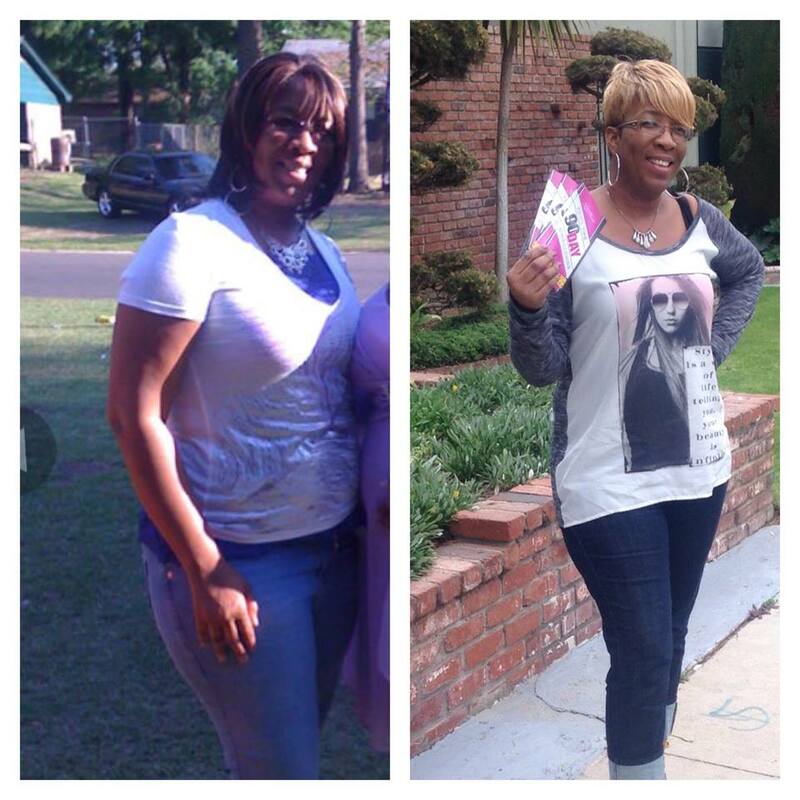 Skinny Fiber helped her lose 13 pounds and 2 inches of her waist. Great job!!!! This is our WORLDWIDE 90 DAY CHALLENGE Champion!!! !…….John Cooper!!! 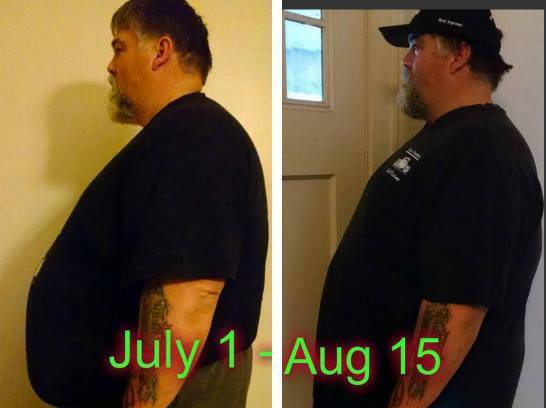 “100 pounds GONE in 133 days!!!! I DID IT!!!! 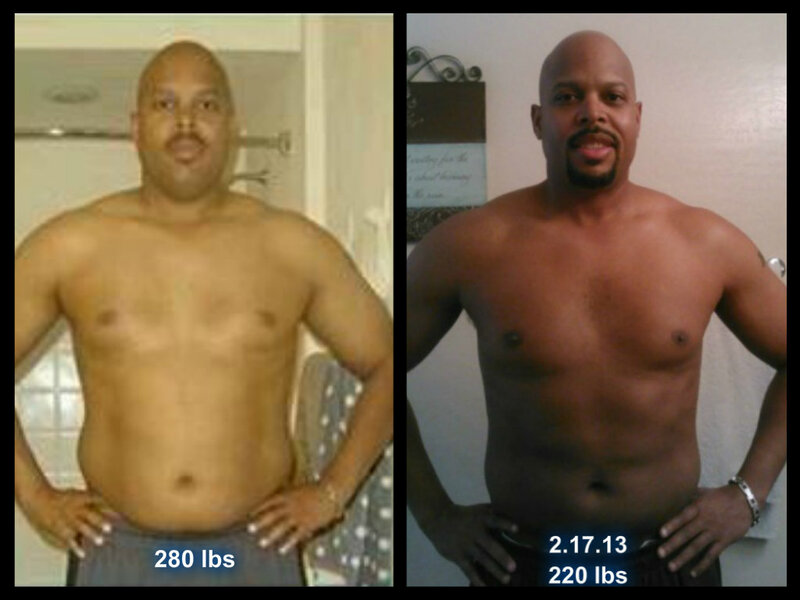 Many of you know that I have been on my journey to a healthier ME and healthier lifestyle. But there are some people that may not know me personally and do not know my story. In October I decide that I had had enough or this overweight junk and I was ready to get down to business. I began watching some posts on Facebook in a support group that I had recently joined. I watched this group and the postings for 6 MONTHS. Then I finally decided… I’m gonna DO THIS!! I ordered the weight loss supplement Skinny Fiber that I had been seeing within the Facebook support group. I began my journey on April 1st. I increased my daily water intake. I started measuring my foods just to get my brain adjusted to the correct portion sizes of the foods that my body REALLY needs and not the sizes that my brain thought that I needed. I also started off by doing stretch band exercises on my couch. After about 25 pounds lost, I started walking laps at the track and also started introducing some workouts with a trainer. 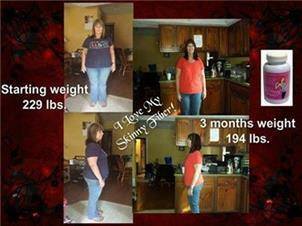 Along with all these new adjustments, I was also taking my Skinny Fiber (2 capsules, twice a day). 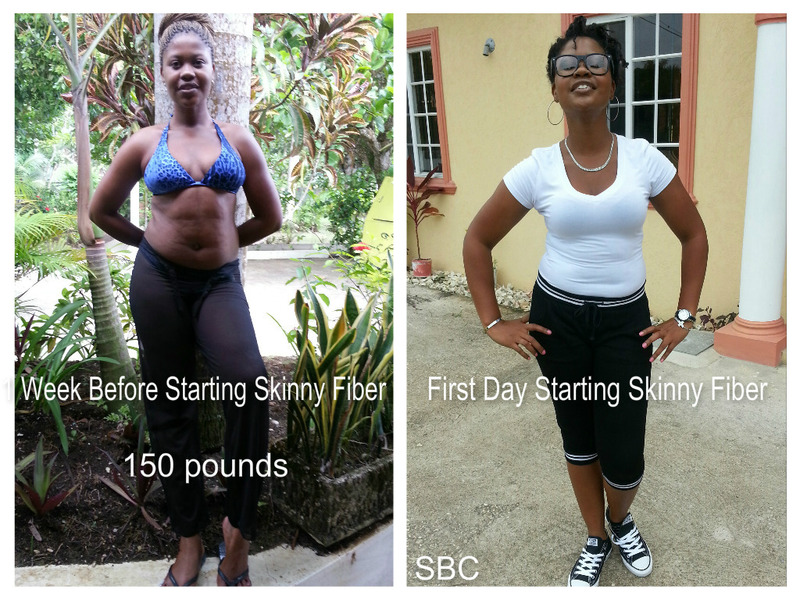 Skinny Fiber is a tool to help you lose weight with whatever eating plan you choose. It makes it easier to stick with your plan by curbing your appetite, cutting the cravings, making you feel full quicker. In my first 90 Day Challenge with Skinny Fiber, I lost a total of 72 pounds, in which I won the challenge and earned myself a trip to Miami, FL to be on a health and wellness talk show, and a full make over. I recently just finished my first 5K run along with 15 of my amazing friends and family members and supporters. I am currently on day 46 of my 2nd 90 Day Challenge and I have lost 29 pounds so far. I can’t wait to see how far along I’ll be at the finish of this challenge. 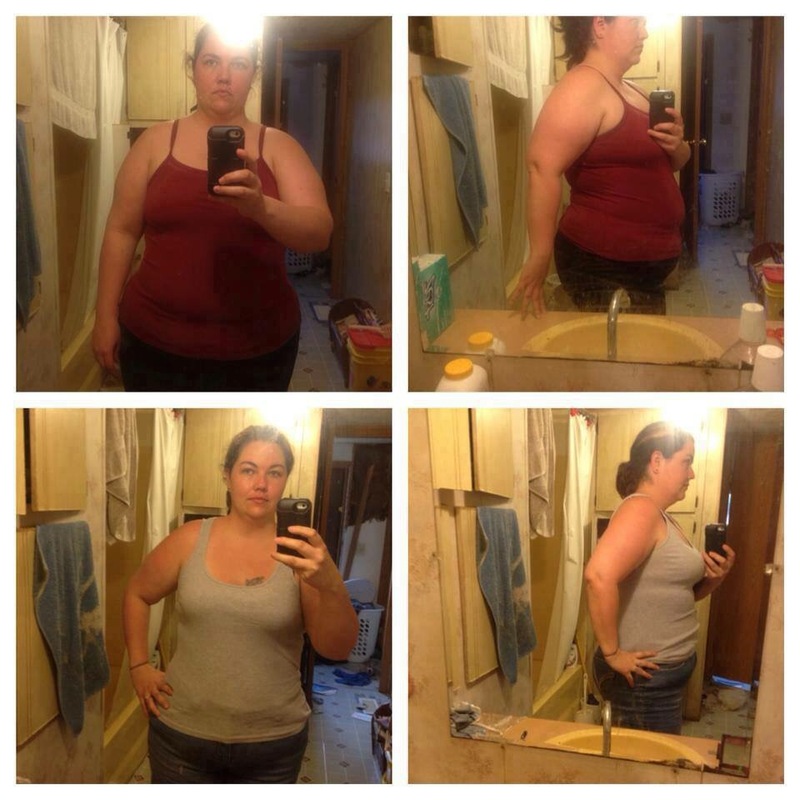 What is stopping you from ordering Skinny Fiber?? We even have a money back guarantee. 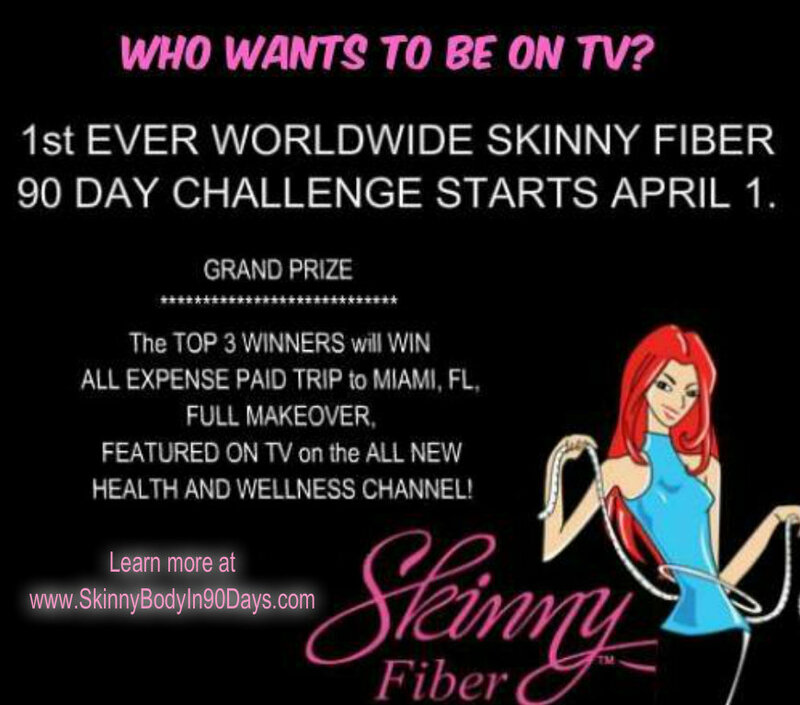 The FIRST EVER WORLDWIDE SKINNY FIBER 90 DAY CHALLENGE STARTS APRIL 1, 2015! There will be 1 GRAND PRIZE winner. Details will be provided later. Anyone who orders before 4/1/15 will be able to participate in the Worldwide 90 Day Challenge. 1 bottle lasts 1 month! Get your Skinny on! 100% natural! NO wraps! NO shakes! NO fake food! NO hormones!! NO KIDDING!! 30 Day MONEY BACK GUARANTEE! !